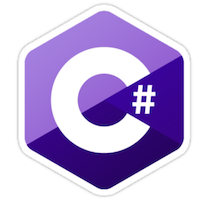 This layer adds support for C# language using the omnisharp-roslyn language server and corresponding omnisharp-emacs package. Please report any issues encountered to omnisharp-emacs issue page on github. PRs are welcome too! To use this configuration layer, add it to your ~/.spacemacs. You will need to add csharp to the existing dotspacemacs-configuration-layers list in this file. Before you can work with C# files you will need to install the server by invoking SPC m s i (or M-x omnisharp-install-server). Otherwise, if this fails for you, please see omnisharp-emacs/doc/server-installation.md. While the server will start automatically where possible if the server needs to be started manually use SPC m s s (or M-x omnisharp-start-omnisharp-server). It will prompt a path to your .cpsroj or .sln file. You should use dotnet CLI tool from .NET Core download page or an IDE like Visual Studio or Xamarin Studio to manage solution and project files. Debugging on command line is possible using SDB. There can be only one server running at the same time. To switch to a different solution/project you need to invoke SPC m s S and SPC m s s to stop current server and start another one pointing to another solution/project.